What was your experience at Claremont Mckenna College? I loved my time at Claremont McKenna College. More importantly, I am convinced, even with only two years of experience to judge from, that CMC gave me the foundation to lead a valuable and meaningful life. The school is by no means perfect, with it's own share of problems, but it excels at almost every component necessary to be one of the best institutions of higher education in the country, if not, the world. Perhaps the most defining aspect of CMC is not something that can be explained under typical college breakdowns of academics and social life, and, in many ways, it's not even a characteristic of CMC. 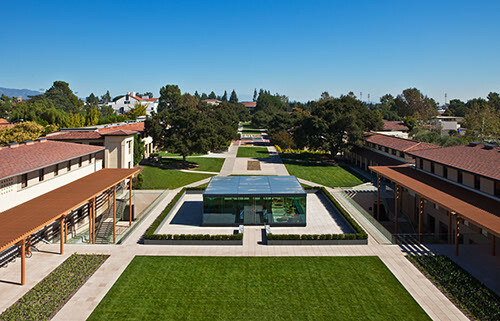 Claremont McKenna is one of 5 undergraduate liberal arts colleges (the other four are Pomona, Scripps, Harvey Mudd, and Pitzer) that are part of the Claremont University Consortium. All right next to each other. All sharing a library, two sports teams, 7 dining halls, and academic resources. But each very different, perhaps accentuated, or even at least caricatured, when contrasted amongst each other. Each school has been able to focus, and, as with all things, focus is what usually allows someone or something to be great - CMC excels as a liberal arts school that prepares students for careers in business or politics, HMC is an insanely rigorous engineering school, Scripps is the best women's college in the country in preparing girls for careers as professionals, and so on (I think Pomona does something well, but I'm not sure what :wink: ). This is a critical part of the exceptional experience at Claremont or any of the other schools. Students find themselves able to really study the liberal arts - no particular school there must spread itself thin offering every discipline since they can supplement each other. Each school can have small classes, professors utterly devoted to teaching young kids, dedicated extracurriculars, while not sacrificing the amenities of a larger college community - great parties (CMC excels particularly well in this regard, but it's really the Mudders that know how to engineer some of the best), flexible dining options, basically every activity, club, or extracurricular someone 18 - 22 would want to spend their time on. You'll have some dud classes, but if you take the time to find the good ones - they are great. I studied Philosophy and History, so maybe an atypical CMCer when it comes to course selection, but shout outs to Professor Geismer, Professor Rajczi, Professor Kreines, Professor Sedar and Professor Rosenbaum. These teachers are there because they believe in CMC's values and want to educate the students about the world - not because it's a great place to research (it's not). You'll meet some fantastic friends that are smarter, wittier, funnier, and more ambitious than you. They'll also likely drink a lot. Together, this will help you build great relationships and, while it took me a few semesters to get my head out of the sand, push you even harder to give back to CMC and think about what you want the output of your own life to be. Also, you guys will have some great parties - school sponsored or not. The administration, the community, the alumni - they're all incredibly dedicated to the culture and continued growth of the student body and institution, which we all really see as the same thing due to the nature of the school. It's really incredible. I have never had an alum turn down an introduction or request for job / career hep. I will never turn down an alum that comes to me for help. It really is this type of community. A few other things worth noting that make the experience great: Scripps Pool. Go to the Grove House at Pitzer to party one night, nice change from TNC I didn't realize this, but the value of CMC is actually going to office hours and learning from your professors one on one. The campus is incredibly gorgeous. Except for Bauer Center. * The clubs or organizations, when you really contribute, are amazing, you'll make some great friends and learn what you won't learn in classroom: sports team, Forum, ASCMC, mock trial, etc. Plus Printers has opened the new passes for <a href="https://www.plusprinters.com/"> custom printed boxes</a>. We have an excellent quality of personalized packages with 4 color digital and unique printing services. To carry the retail products easily Custom Product Boxes are the most convenient and cost-effective solution with their customized size and design. Custom Printed Boxes and Product Boxes USA are well known for the most demanding design printing firm in South USA .